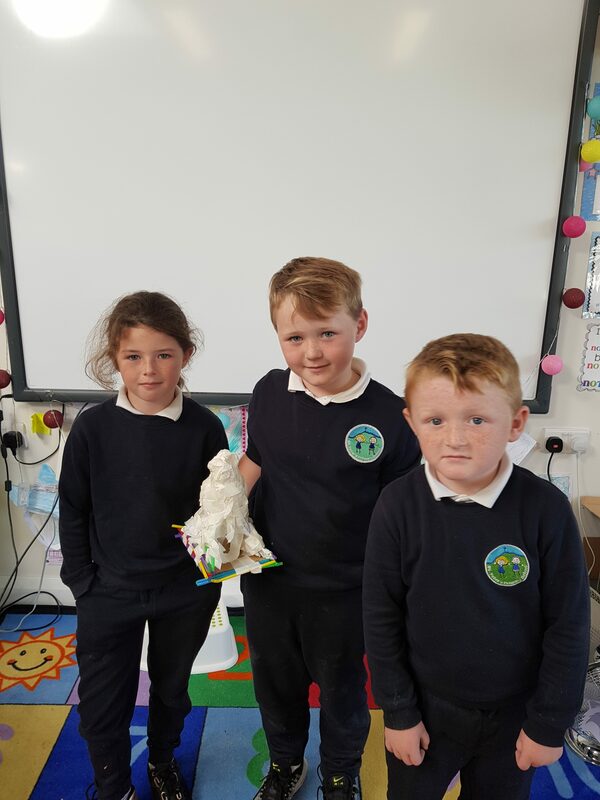 First Class completed their first STEM activity this week. 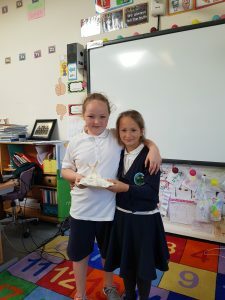 We have been learning all about houses and homes in SESE and completed a STEM activity based on that. 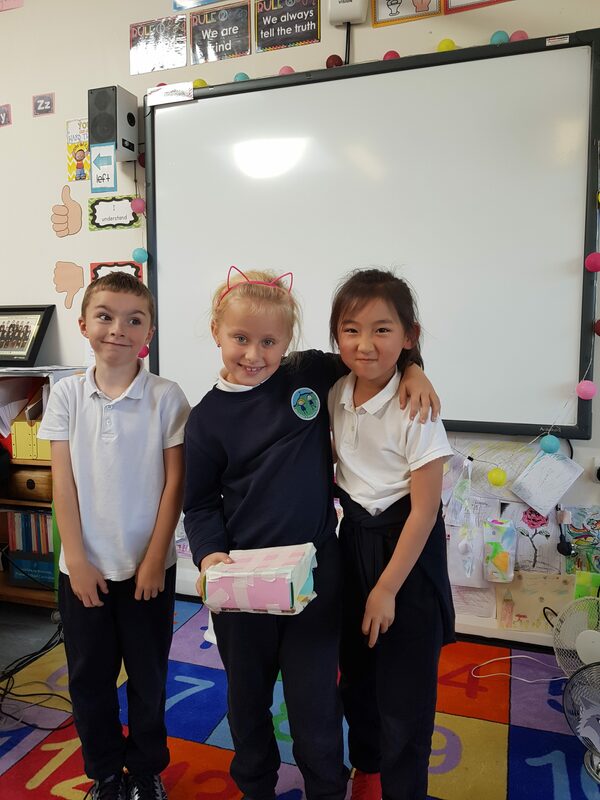 We read the story of the three little pigs and talked about the different materials used in each house. 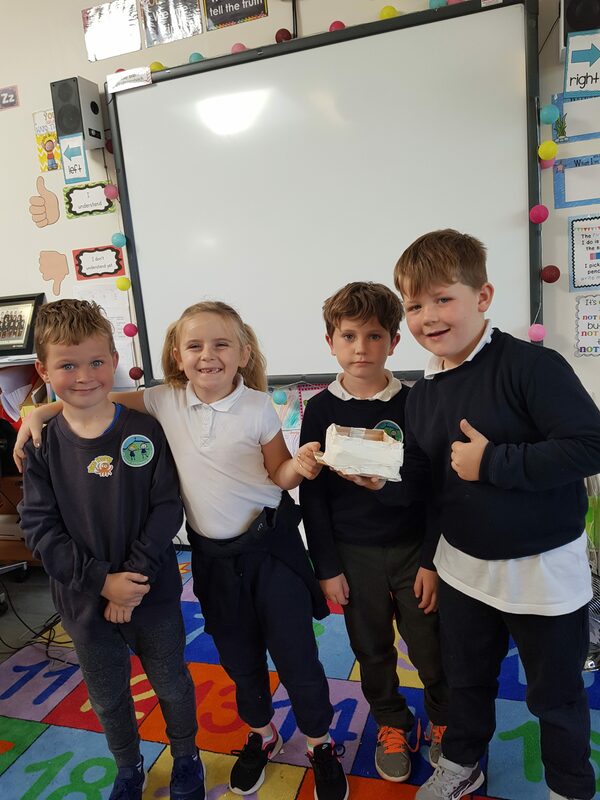 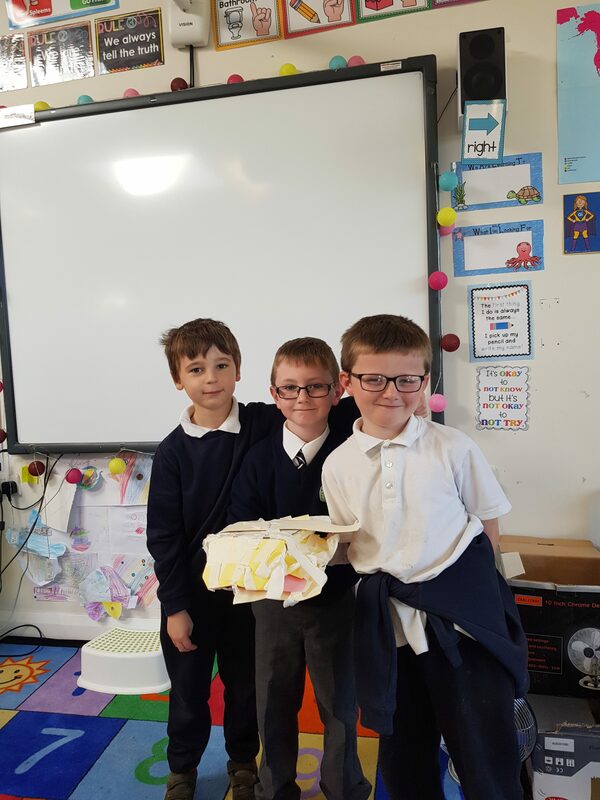 The class were then presented with a challenge. 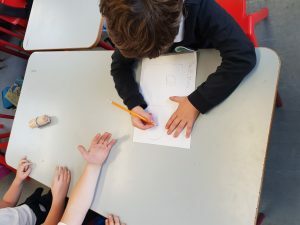 The children split into six teams. 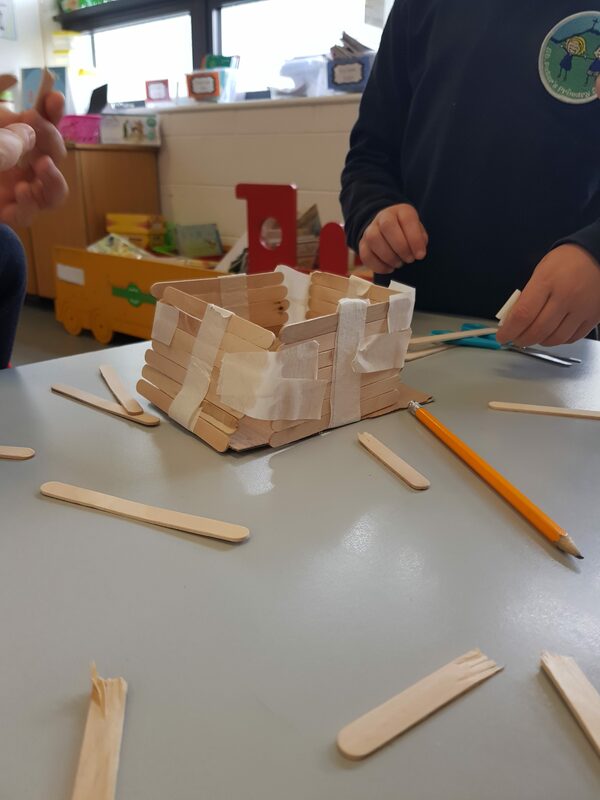 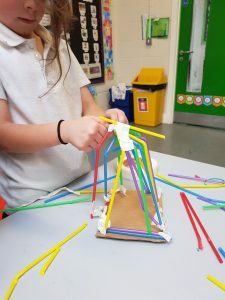 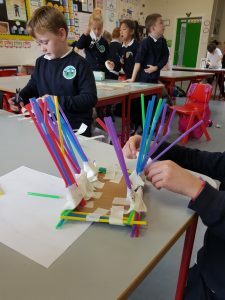 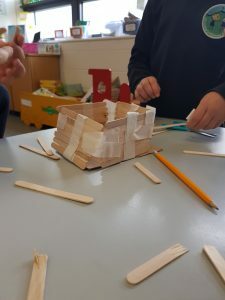 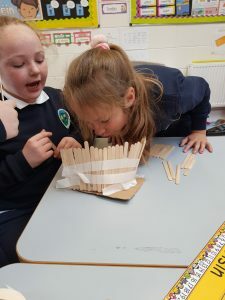 Two teams made a house from straw (plastic straws), two teams made a house from wood (lollipop sticks) and two teams made a house from bricks (strong card). We talked about fair testing and decided each team should get the same amount of materials to work with and each team should have the same amount of time to complete the task. 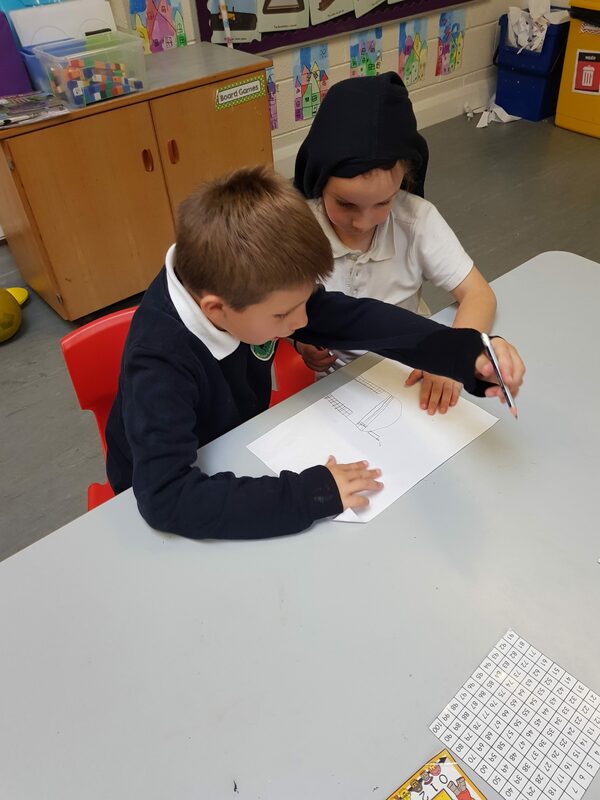 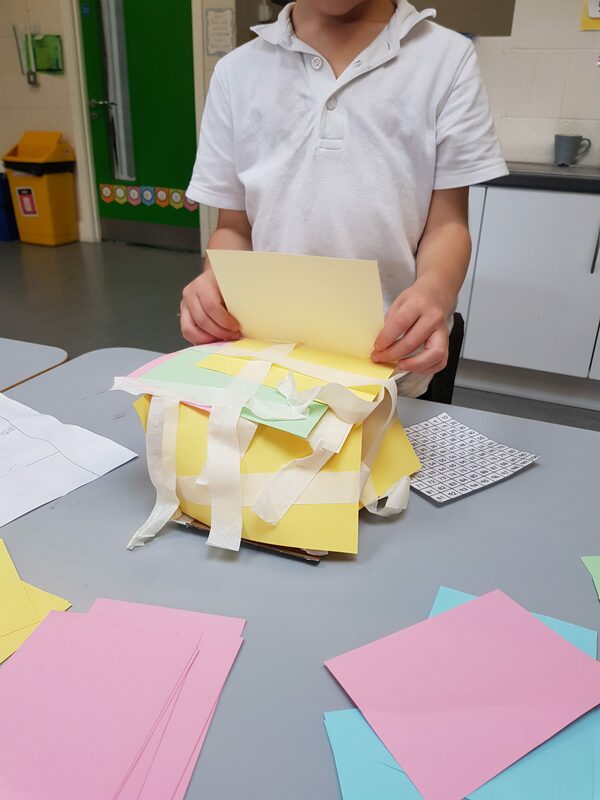 The children planned what their project would look like by sketching. 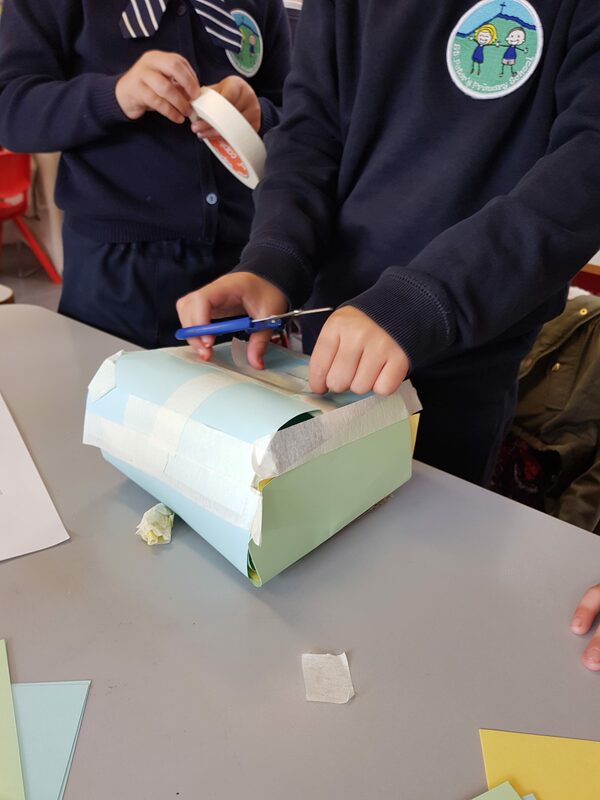 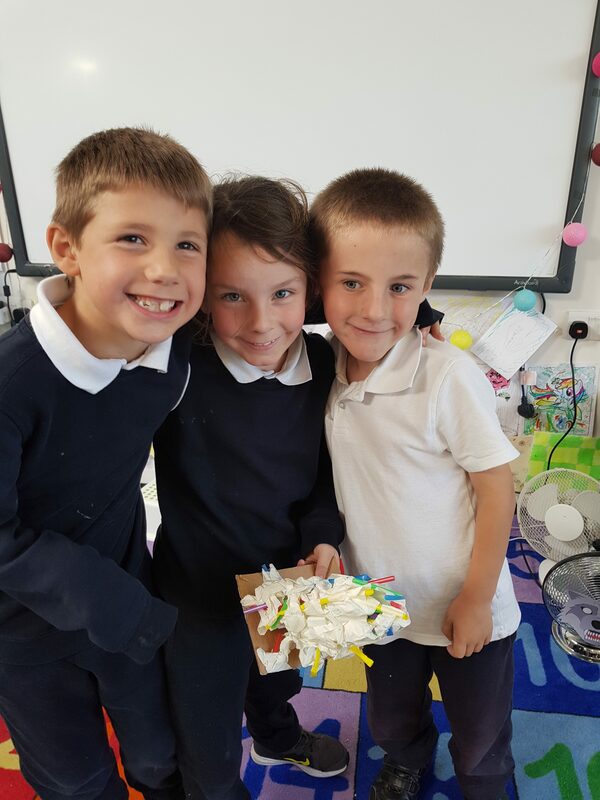 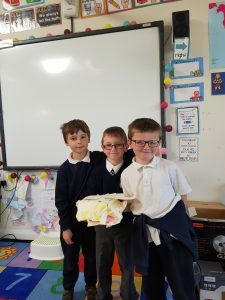 The children worked together to create their houses. 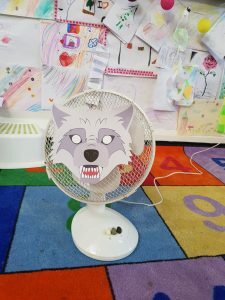 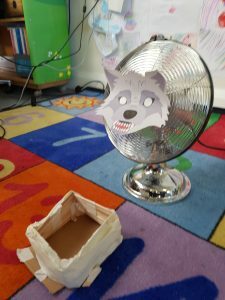 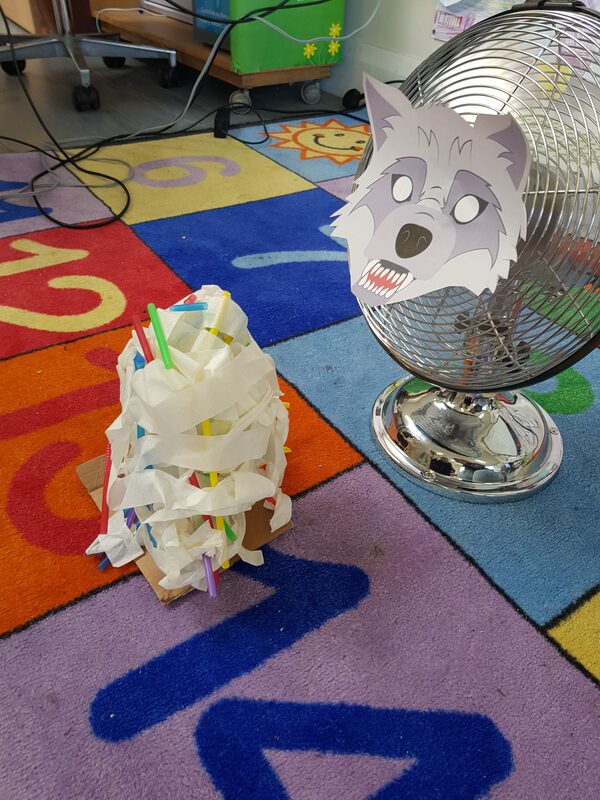 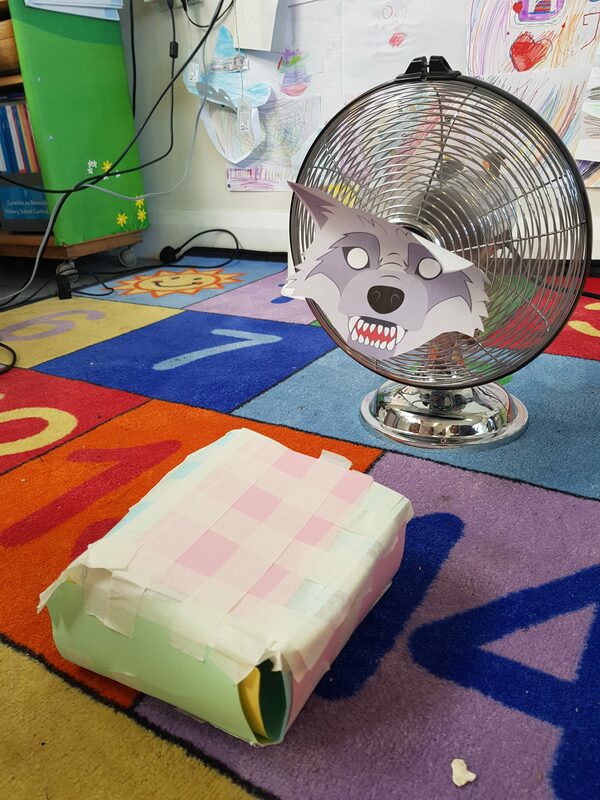 All of the houses passed the test of the big bad wolf! The children reflected on their work afterwards and discussed some things that they would do to improve their houses.